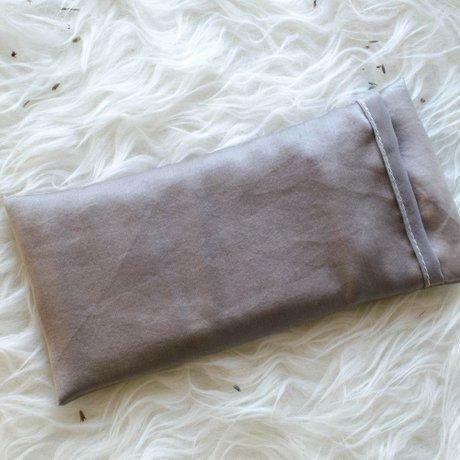 This relaxing eye pillow is filled with French lavender buds and organic flax seeds. 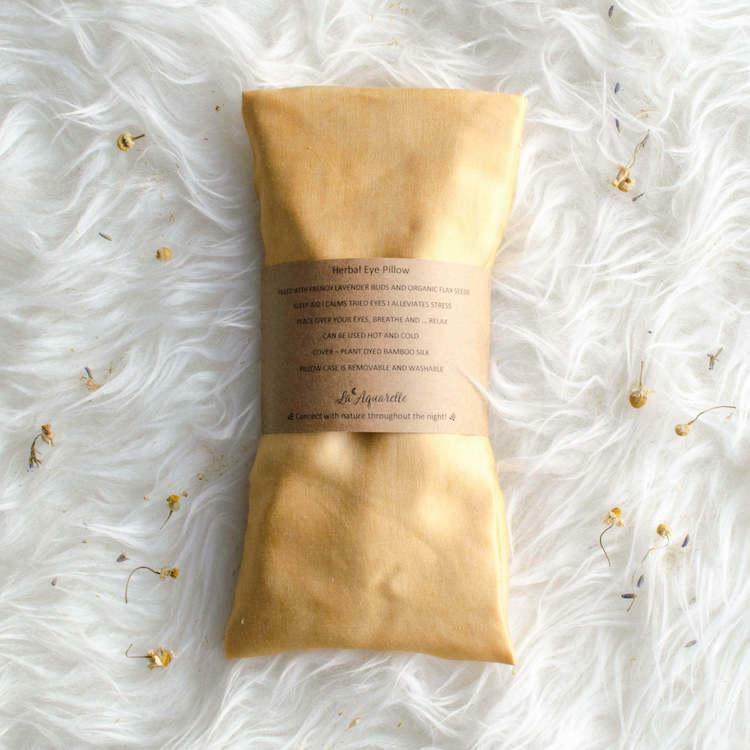 It gently moulds to the contours of your face with a light pressure, blocking out light, relieving tension and calming the muscles around the eyes. It is perfect for resting, meditation, and for eye strain relief after hours of computer work. Lavender - Dyed with alkanet flowers and lavender using an ancient dyeing technique to create a beautiful, natural lilac colour. Calendula - Hand dyed with coreopsis and calendula flowers using an ancient dyeing technique to create a beautiful, natural orange colour. Indigo - Dyed with indigo extract using an ancient dyeing technique to create a soft, cloud like, pale blue colour. 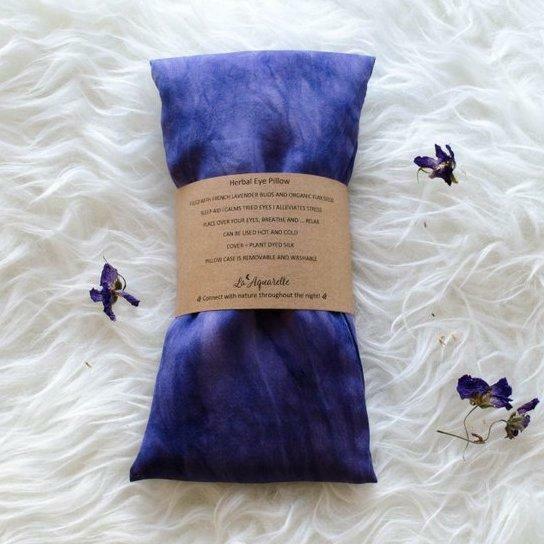 Hibiscus - Dyed with hardy hibiscus flowers to create beautiful deep purple shades. 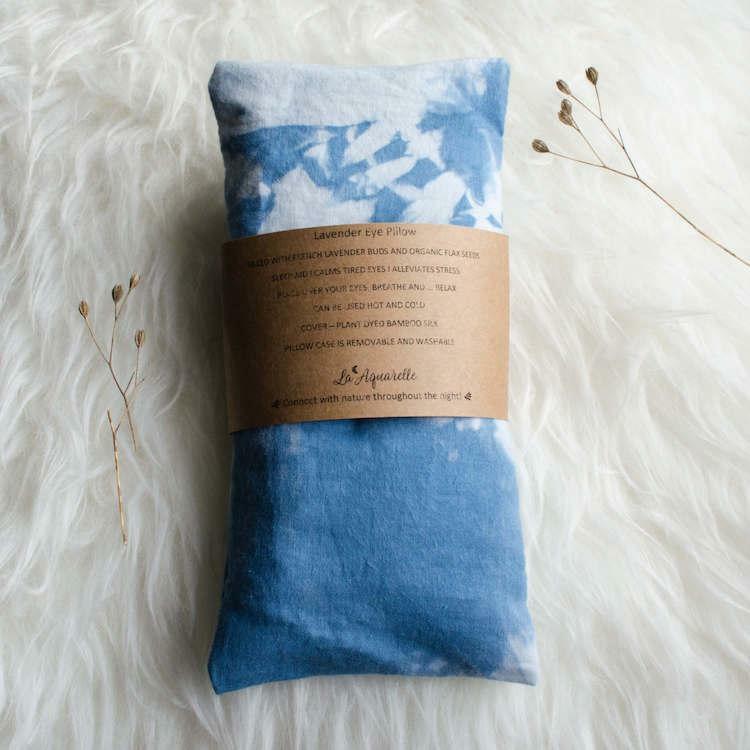 Pomegranate - Pillow case is made from the fabric that was hand dyed with pomegranate extract using an ancient dyeing technique to create a beautiful, natural gold colour. Avocado - Hand dyed with avocado stones & skins to create a dust peachy pink colour. Size is approx. 8"x 4" (20.5 x 10.5 cm). 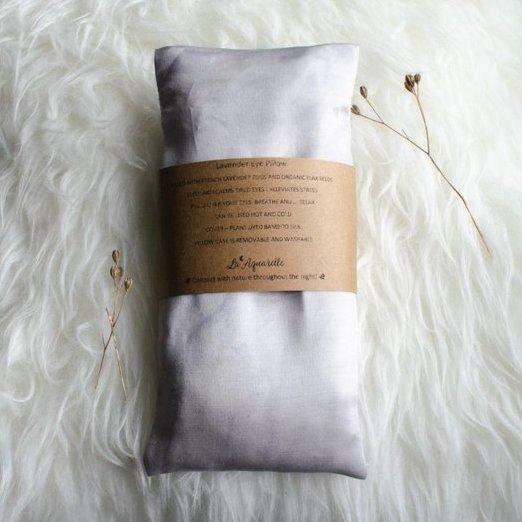 Use instructions - To heat this eye pillow, place it in microwave for around 20-40 seconds (depends on your microwave). To use as a cold compress, place in freezer for 30-60 minutes before use. 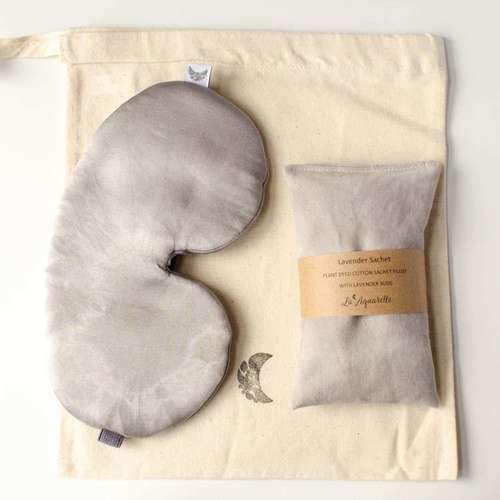 Care instructions - Pillow case is removable and washable! Remove pillow case and hand wash in cold water or machine wash using a neutral washing detergent (i.e. dishwasher), light dryer cycle or air dry. 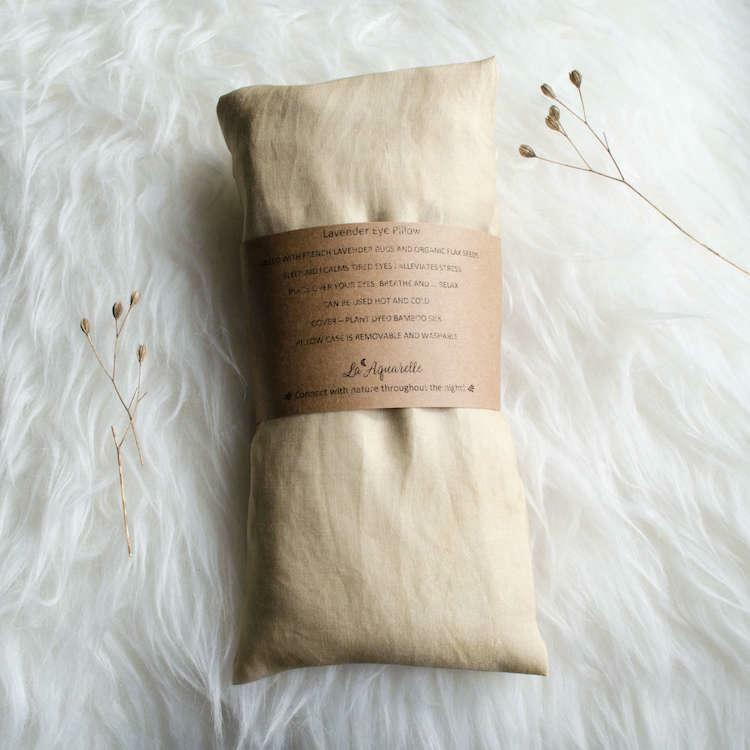 Materials - organic cotton or bamboo silk, lavender & flax seeds. 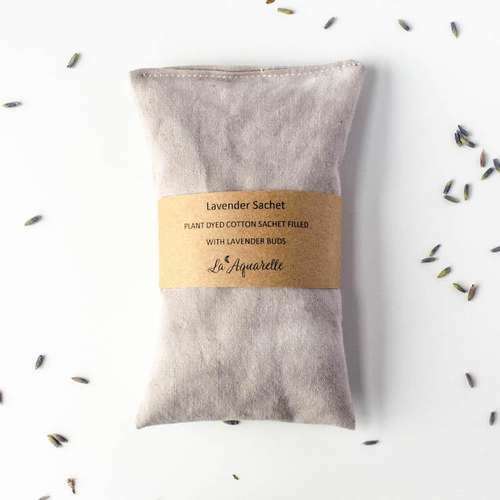 La Aquarelle specialise in natural & organic sleep accessories including masks, eye pillows & herbal sachets. 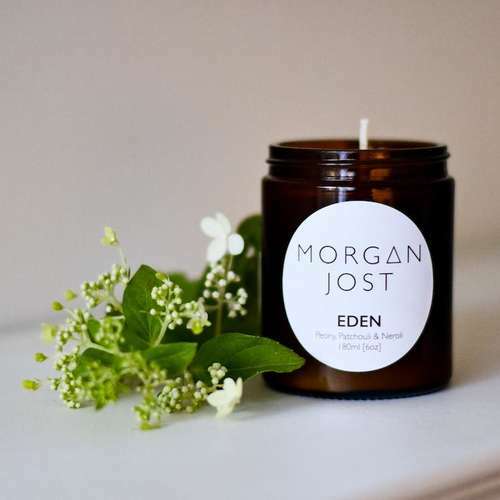 They make all of their products by hand in the UK and use the technique of plant dyeing to create natural and calming colours. 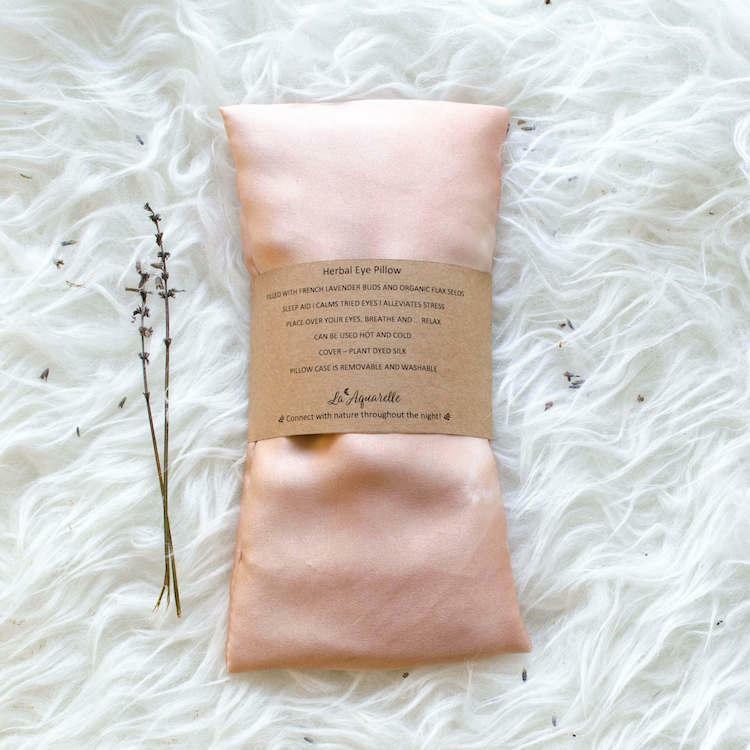 All of La Aquarelle’s products are 100% toxin and chemical free, which means that unlike chemical dyes, unwanted chemicals are not absorbed into the skin. Postage Packaging - Kraft paper envelopes.